Aiming to shine a light on invisible wildlife crime, the first ever annual report for England and Wales is being launched today (18th April 2018) by 18 NGOs, including Naturewatch Foundation. The report, to highlight the hidden deaths, suffering and impacts of wildlife crime in England and Wales, has been co-ordinated by Wildlife and Countryside Link, of which we are a member. Currently, the Home Office classifies badger baiting, and most other wildlife crime, as ‘miscellaneous’ which means cases are bundled into a category containing thousands of other unrelated offences like ‘littering’ and ‘failing to have car insurance’. Cast off into this ‘miscellaneous’ void, precious wildlife in England and Wales is dying as a result. Without detailed accurate records, police priorities cannot be set which prevents resources from being allocated and targeted effectively. 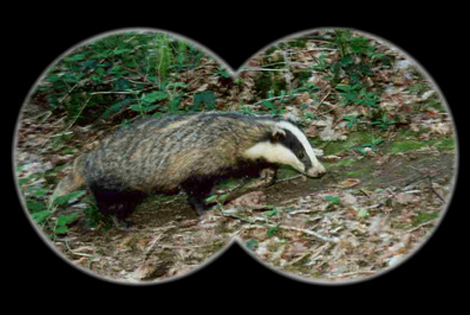 Scotland and Northern Ireland are already accurately and consistently recording wildlife crime. Their results are testimony that a simple administrative change is fundamental to protecting Britain’s wildlife. The ground-breaking research published in this report presents our Government with a compelling case, proving the need to effectively record and monitor wildlife crime. Naturewatch Foundation is pleased to have provided information to aid in the development of the first ever annual Wildlife Crime Report. Naturewatch Foundation aims to bring an end to badger baiting, sett digging, illegal lamping, killing and other acts of cruelty towards badgers involving the use of dogs. Be the eyes and ears for the Police!